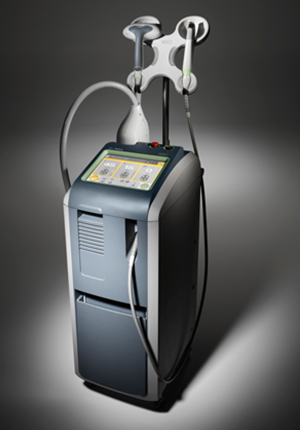 Laser Genesis is a new way to reduce pore size and even out skin tone. It is also used to help treat rosacea and facial flushing. Laser genesis is sometime referred to as a warm laser facial or laser peel although there is no actual peeling after the treatments. A laser is used to gently heat the middle layer of the skin. When the collagen-secreting cells in that layer reach a certain temperature, they start secreting new collagen. After a few treatments you will see pores start to fill in and skin tone start to even out. Most patients describe the laser as feeling as though they are out in the sun by the beach - but without the damaging UV rays. 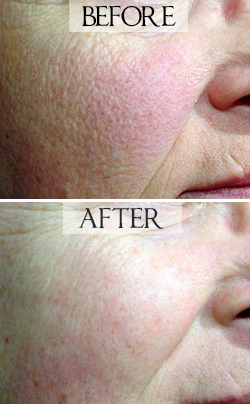 This is a great procedure for anyone who wants to have overall healthier, younger, fresher looking skin. The effects of aging and environmental damage on the skin are well-documented. Now, for the first time, we are able to craft an effective approach to skin health and rejuvenation using laser therapy. Your new healthy skin will exhibit a uniform appearance with smaller pores, an even skin tone and smoother texture, the reduction of visible capillaries, minimal fine wrinkles, and a higher degree of reflectance. 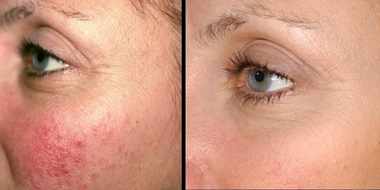 Employed in a unique system known as Laser Genesis, the Cutera® CoolGlide® Xeo™ laser is used in a non-invasive, non-ablative manner to affect the protein collagen molecules and the vessels in the dermis. Parameters of treatment are selected that create a gentle warming of the skin while these structures are targeted. Long-chain collagen molecules are shortened and the growth of new collagen facilitated. While the effects of one treatment begin to be visible in a matter of days, the best results are obtained using a series of treatments spaced at varying intervals depending upon the result desired. How many treatments are required? While the effects of one treatment begin to be visible in a matter of days, the best results are obtained using a series of treatments spaced at varying intervals depending upon the result desired.